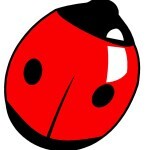 Do You Recognise This Ladybird? Between 1959 and 1965 the Pestalozzi ladybird logo captured the imagination of the British public and during those years started to change the lives of eighty three children from Europe and Tibet. If this ladybird means anything to you – please read further or contact us.